Fuegenâ€™s work and reputation are so revered, they are on permanent display at the Smithsonian Institute. 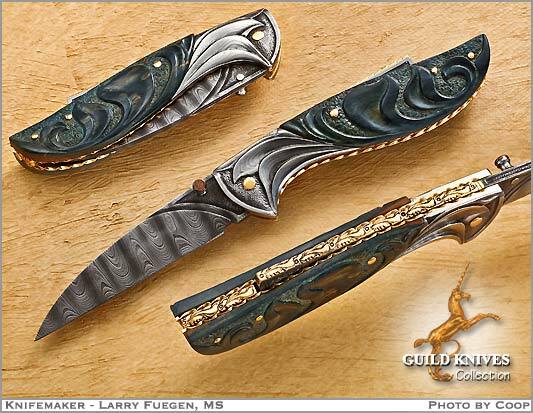 A visually well balanced design, sculpting flows from the blade to the bolster to the horn handle in a graceful manner. The entire 3 1/2 inch engraved 24K gold backspine inlay is probably a thousand dollars worth of gold today. This is a charmer.